Create fun family memories this Easter at Drayton Manor Park and have an EGGS-traordinarily good time, as there really is something for all ages! Visit the wonderful Thomas & Friends characters on the Island of Sodor. Thomas and many of his friends including Flynn’s, Jeremy, Harold plus more, are waiting to welcome you into Thomas Land. Join the Fat Controller and friends as he puts in egg-citing live shows in Knapford Station, tuck into delicious sweet treats across the park or hop onboard the Polperro Express and complete the Easter Egg Trail. Don’t worry thrill seekers, you’re able to fly through the air full on Europe’s first stand-up rollercoaster, Shockwave, or brave the heart stopping 54m drop on Apocalypse, not to mention having the flight of your life on Air Race plus much more. 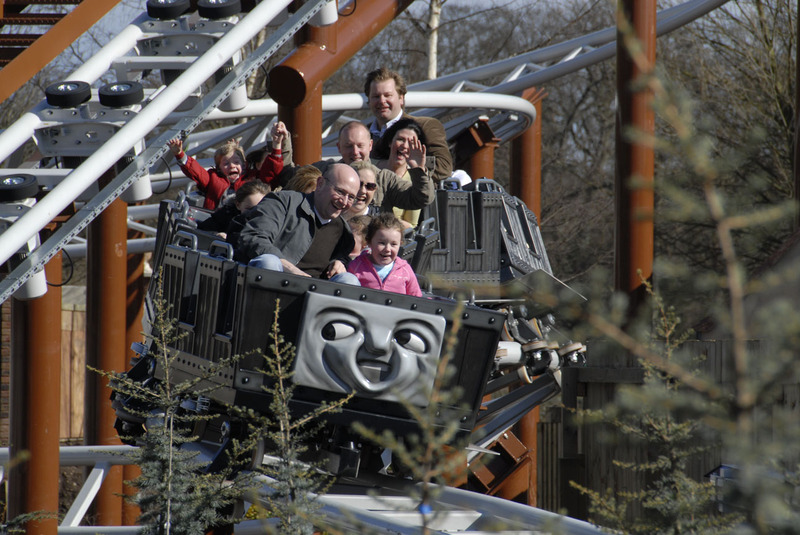 With over 100 rides and attractions, Drayton Manor’s Eggs-ellent Easter has something for all the family. Please bring a copy of your voucher(s) when visiting so that our team can validate the offer(s). All guests entering the theme park must have a ticket, including under 2’s. tickets. Guests who already have printed tickets or e-tickets can proceed straight to the park entrance. • Tickets must be paid for at the time of booking. A maximum of 10 tickets can be purchased at any one time within 24 hours. This number must include the employee. • Tickets must be purchased at least 24 hours prior to your visit for the offer to apply. • No child or children under the age of 12 will be admitted to the park unless they are accompanied by a paying adult who is over 18 years of age. • No refunds will be given if tickets are not used. • PPC bidding on brand terms/names is strictly forbidden. images must be approved prior to posting. • We reserve the right to amend or update any of the above without prior notice but will endeavour to communicate these to you where possible.